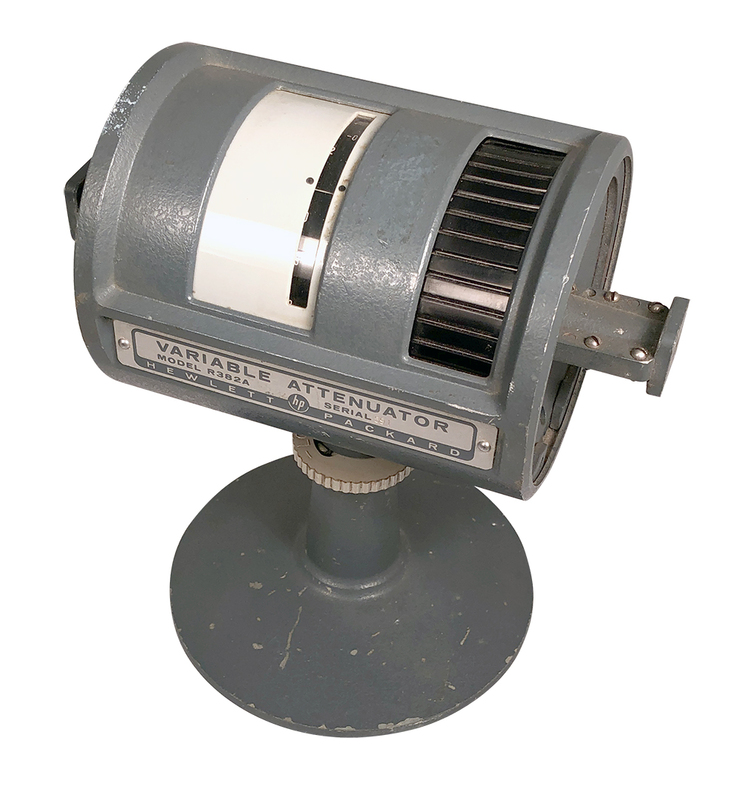 Systron Donner spare variable attenuator has a dial marked 20-100 -dBm that was actual read out on signal generator. Plumbing is WR-62. 5" high x 6" long. 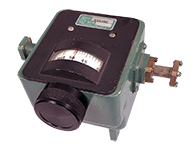 "KA" Band variable attenuator. 0 - 20dB continuous, 26 - 40GHz. Waveguide hole I.D.=0.275" x 0.139". 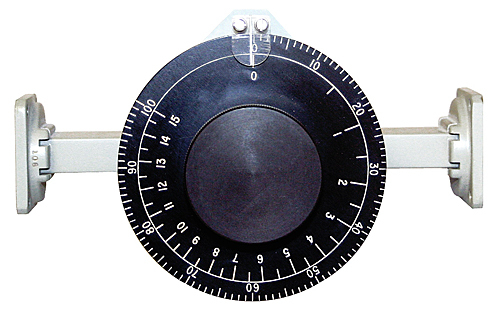 WR-28 flange. Bolt holes = 0.524" spacing. Body is 4" long. Military P/N: CN-410/UPM-84. 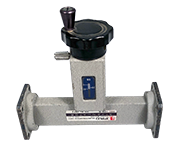 Neico tunable attenuator is 0 - 15 dB over the range, graduated on 3-1/2" dial marked (0-15 and 0-100). WR-90. 2 watt average. 6-1/2" long. 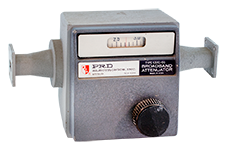 PRD tunable attenuator is 0 - 20 dB over the range. WR-90. 1 watt average. 2-1/2" long. 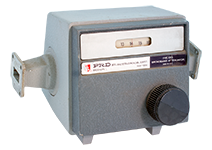 PRD variable attenuator. X-band. 8.2 - 12.4 GHz. 0 - 40 dB. WR-90. 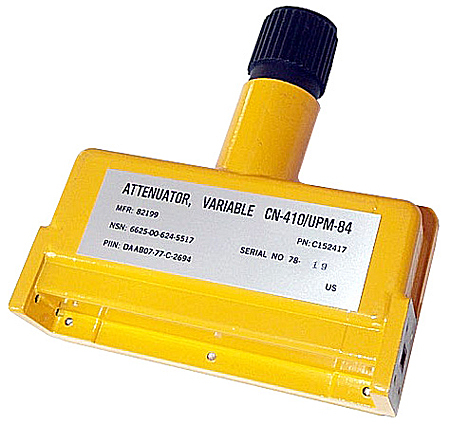 HP variable attenuator. 18 - 26.5 GHz, 0 - 50 dB. 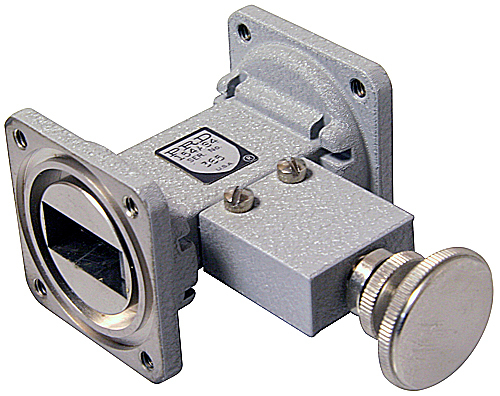 WR-42 waveguide. UG-595/U flange. 2 watts. 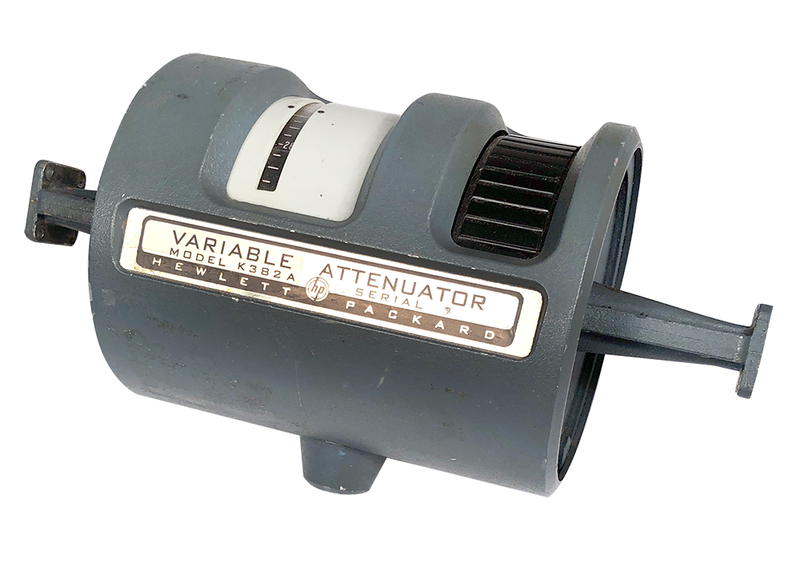 HP variable attenuator. 26.5 - 40 GHz. 0 - 50 dB. 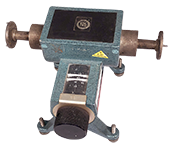 WR-28 waveguide. 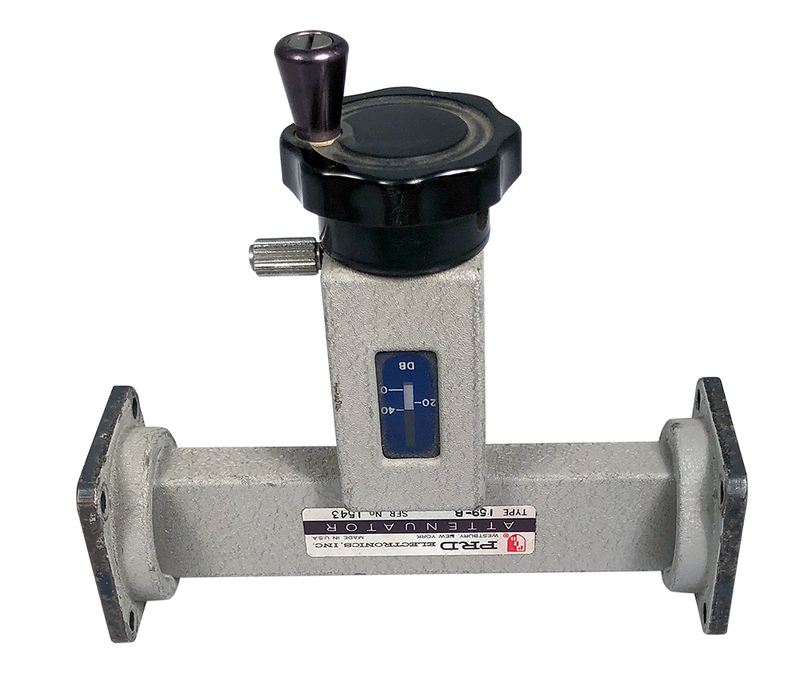 UG-599 flange. 1 watt. 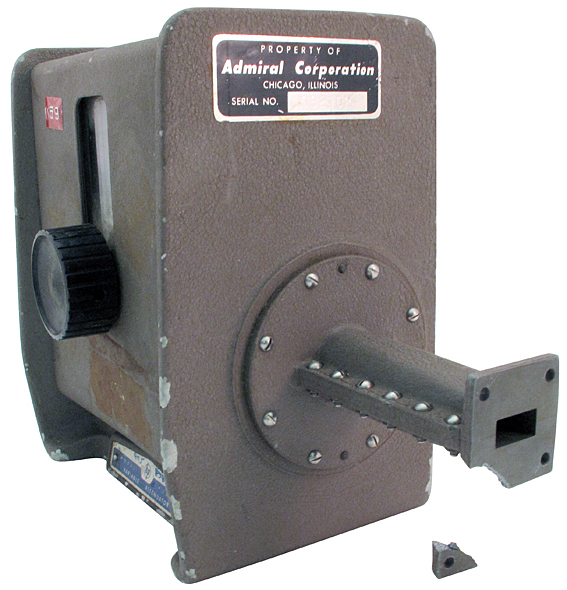 HP variable attenuator. 18 - 26.5 GHz, 0 - 50 dB. 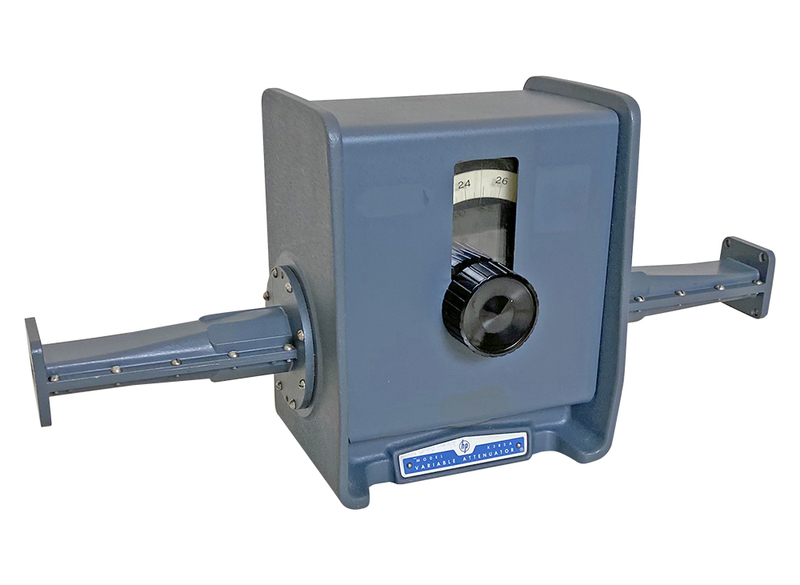 WR-42 waveguide. 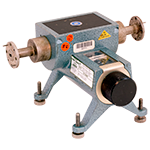 UG-595/U flange. 2 watts. Same as K382A except has no base. 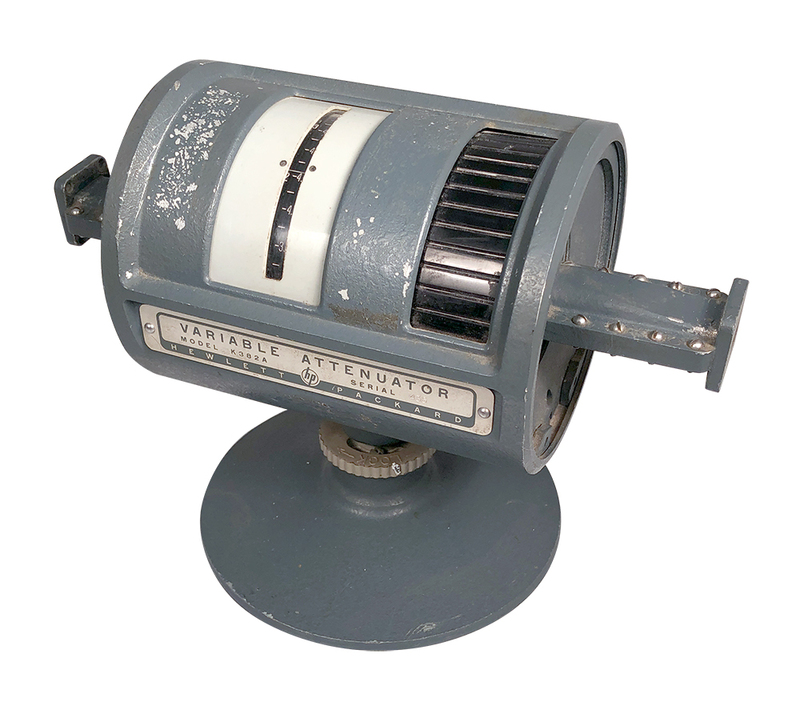 Microlab / FXR variable attenuator. 26.5 - 40 GHz, 0 - 50 dB. 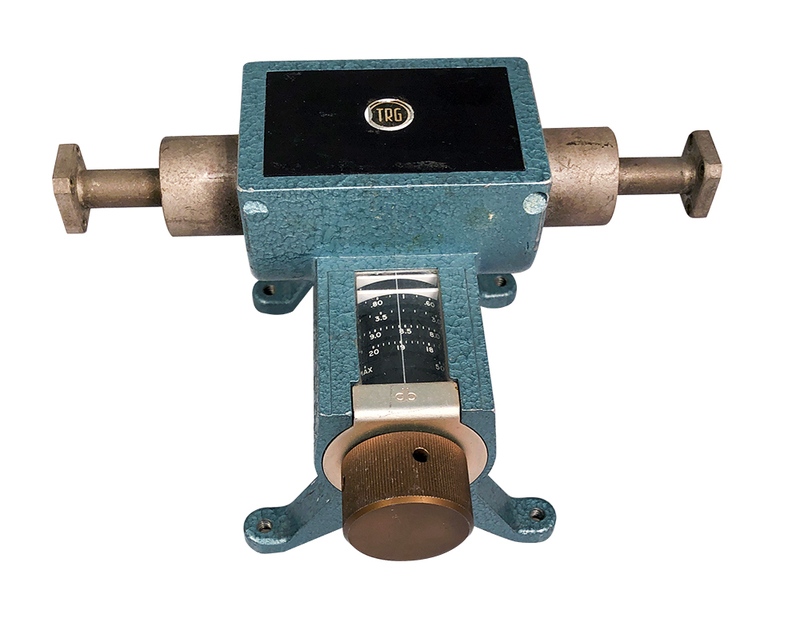 WR-28 waveguide. UG-595/U flanges. TRG variable attenuator. 26.5 - 40 GHz, 0 - 50 dB, WR-28 waveguide. UG-595/U flanges. 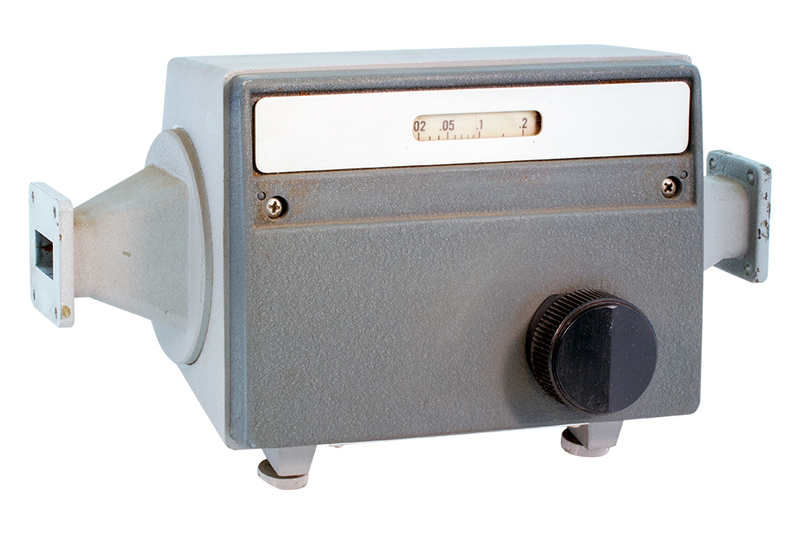 TRG variable attenuator. 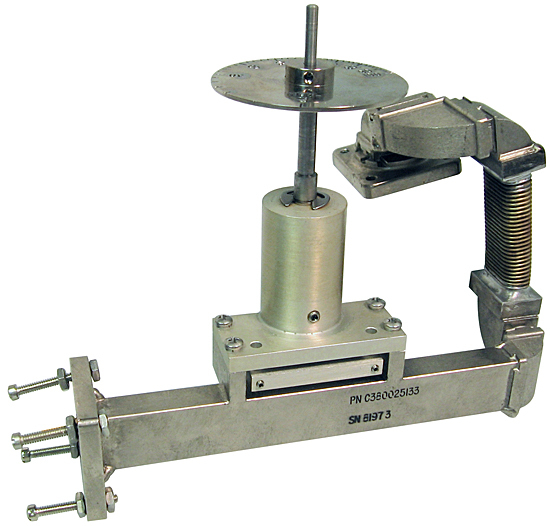 33 - 50 GHz, 0 - 50 dB, WR-22 waveguide. UG-383/U flange. 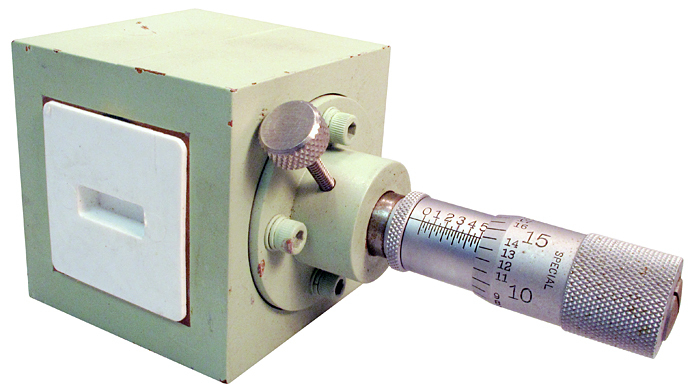 Raytheon micrometer by LS Sarrett Co. Tuned cavity, 8.2 - 12.4 GHz. WR-90 flanges. Body is solid copper. Unplated surface. Tarnished is spots. 2-1/2" cube. 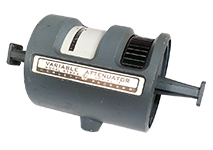 Alpha Industries variable attenuator. 33 - 50 GHz, 0 - 50 dB, WR-22. Q band. 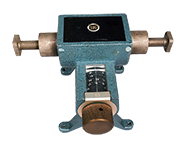 FXR Inc. rotary vane attenuator. 0 - 50 dB, 0.3 watts. WR-15. 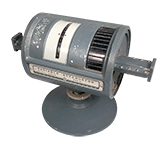 UG-385. 49.9 - 75.8 GHz. Used. HP variable attenuator. 0 - 50 dB. 12.4 - 18 GHz. Damaged flange (see enlarged photo). Sold as-is. 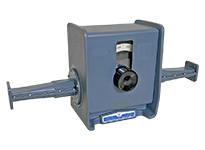 HP variable attenuator has a dial adjust from 0 - 50 dB. 8 - 12 GHz. WR-90 flanges. 6" x 4-1/4" x 7-1/2" high, 16" long. Removed from service but in good condition. 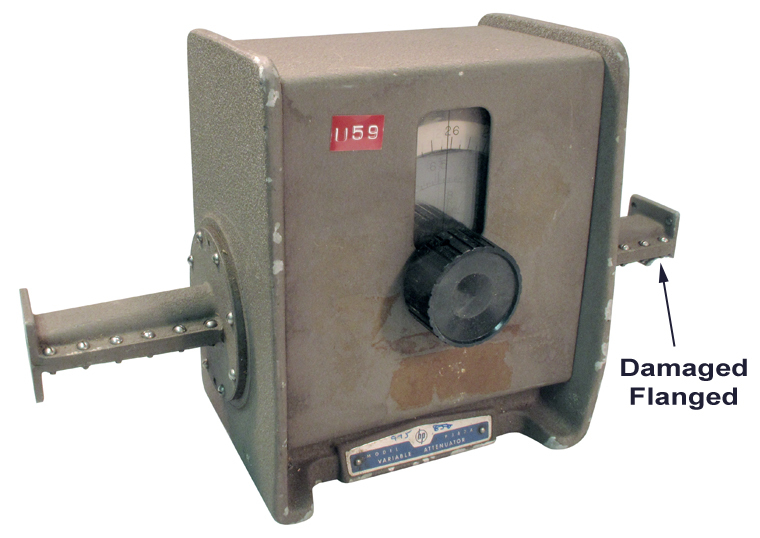 This echo box was the original absorption wavemeter for measuring frequencies in the "GHz" region. 0 - 55 GHz. "N" female connectors. 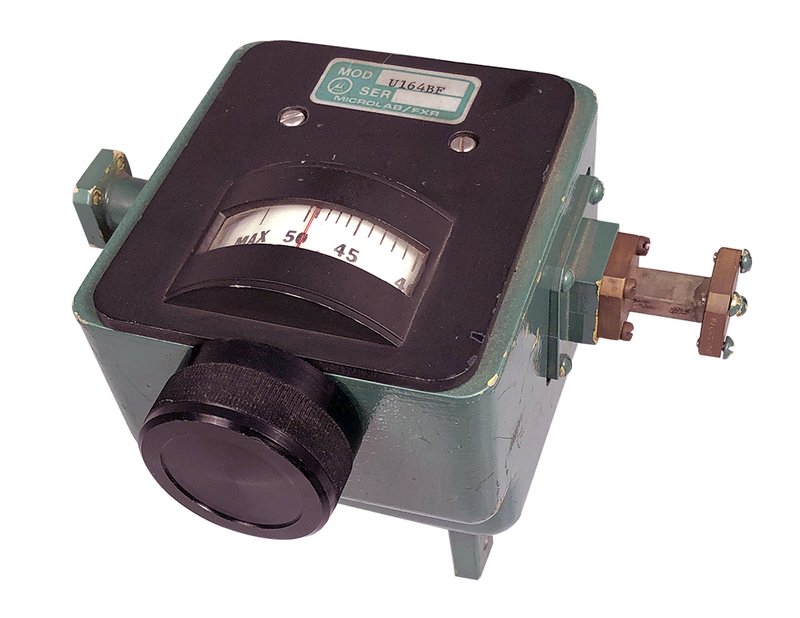 Bonardi variable attenuator. 0 - 60 dB, 7.05 - 10 GHz. 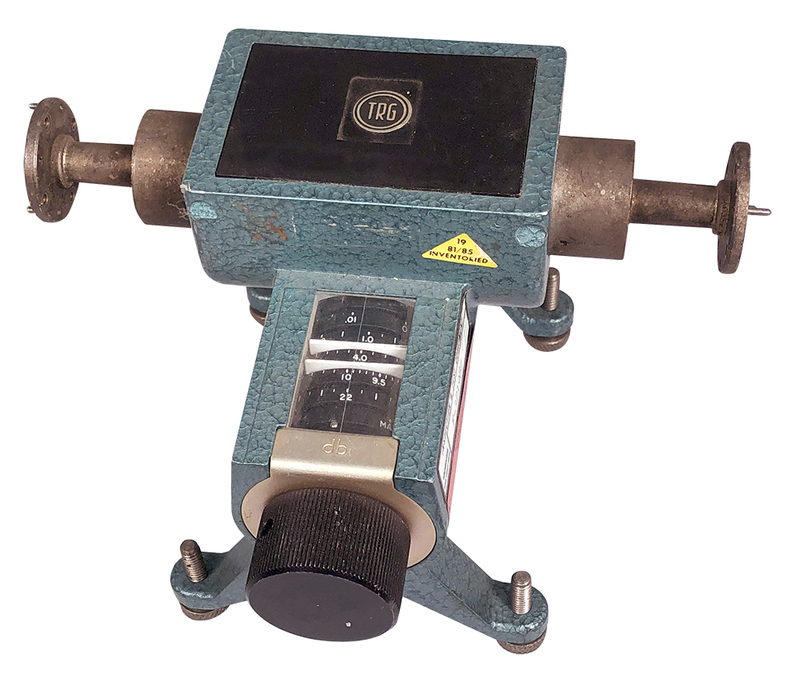 WR-112 flanges. Similar to PRD "X101". 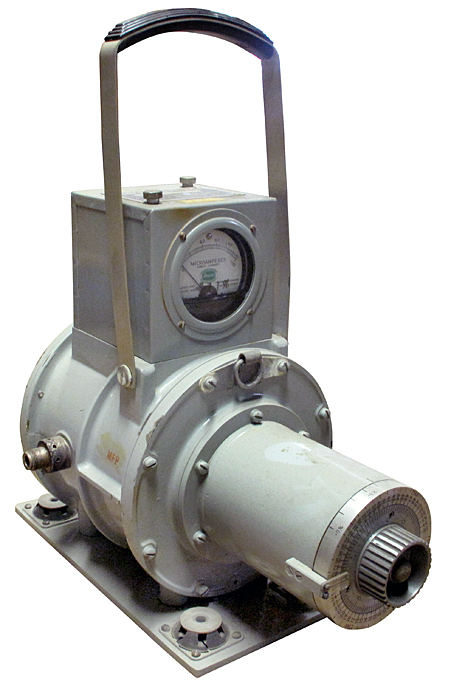 HP rotary vane attenuator. 0 - 50 dB, 8.2 - 12.4 GHz, 10 watts, WR-90. 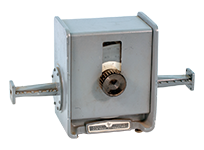 HP rotary vane attenuator. 0 - 50 dB, 12.4 - 18 GHz, 5 watts, WR-62. 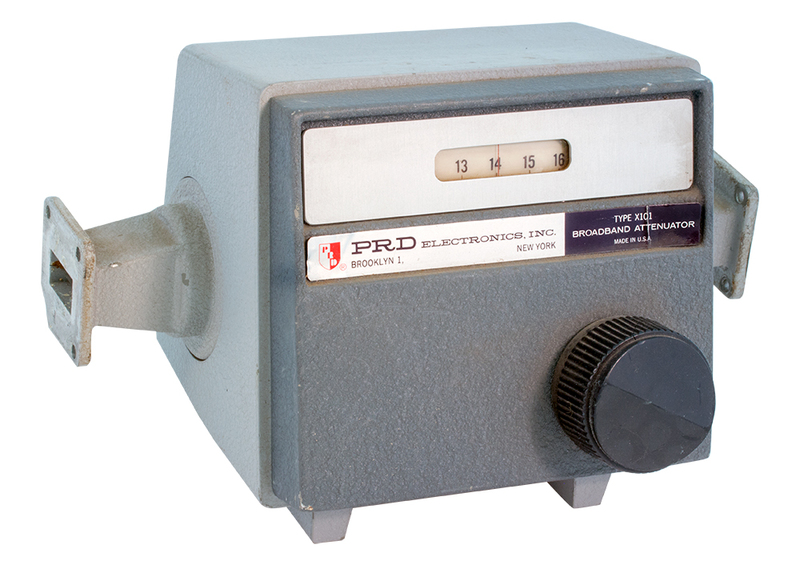 PRD broadband attenuator. 0 - 60 dB, 8.2 - 12.4 GHz. WR-90 / UG-39. 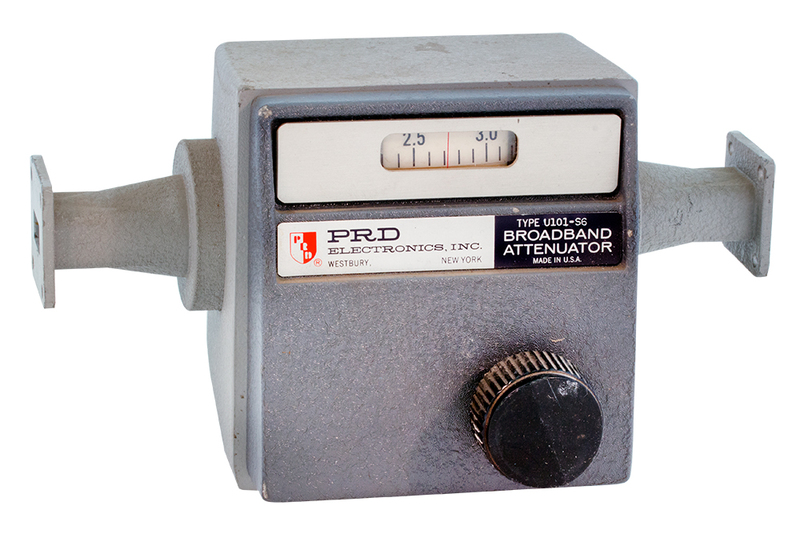 PRD broadband attenuator. 0 - 60 dB, 12.4 - 18 GHz. WR-62. Missing feet. Needs lubrication. 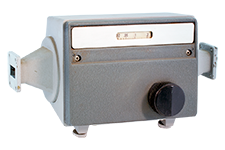 RF variable attenuator. 0 - 130 dB. 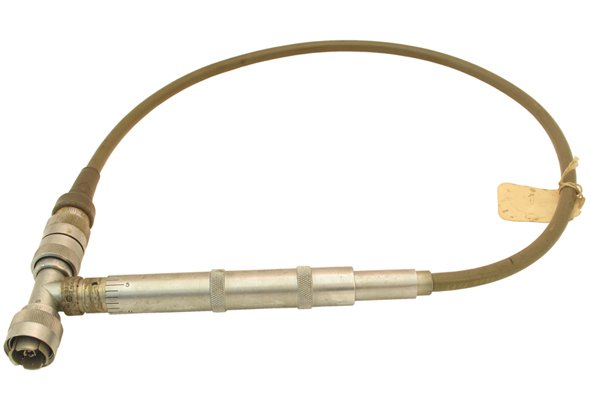 "BNC" input, coaxial output. 1 - 200 mHz. 1/4" angle drive. 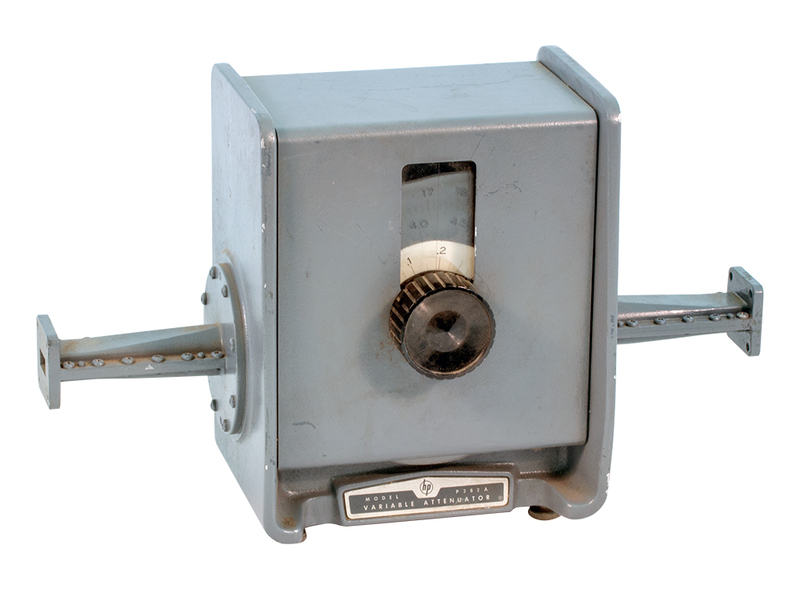 This is an internal attenuator made for 1965 era test equipment. Not designed for external use so please do not inquire. NSN: 5985-00-351-3499.